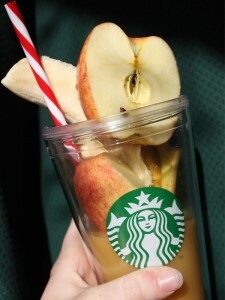 Haley Helfer -- Starbucks acquires new juice maker and creates jobs in this holiday season. Starbucks recently partnered with Opportunity Finance Network (OFN) to form the Create Jobs For USA fund in an effort to support small-business growth and establish jobs for the 9.1 percent of unemployed Americans. Effective Nov. 1, 2011, the project began collecting donations from corporate-owned Starbucks stores and the outcome is increasingly positive. People walk into the local Starbucks and buy bracelets because they know that it will help fund jobs for Americans. This new fund works through donations only. “We’ve had some people buy them, either one person will buy one, or a large group of people will buy several at once,” Sara Way, shift supervisor at a local Starbucks, said. One may donate to the Create Jobs For USA fund in two different ways: 1) by making an online donation at the project’s website, www.createjobsforUSA.org and 2) by purchasing an “indivisible” bracelet, worth $5, at any corporate-owned Starbucks location. “Basically, it isjust for small businesses; 100 percent of all the proceeds go to small businesses across America and the bracelets are only $5,” Way said. In an effort to not only help local citizens find jobs but also satisfy all customers, Starbucks has recently announced its purchase of juicemaker Evolution Fresh, Inc. People will now not only have the option of drinking coffee and tea, but also juice. “It is a juice machine so it will make different juice drinks,” senior and Starbucks shift supervisor Bethany Pearson said. With all its new innovations, Starbucks will lure in customers from all ages, satisfying their need for either a refreshing, nutritious drink or a warm cup of coffee. No longer will Starbucks simply be known for its coffee but also for the variety of drinks that will be available.